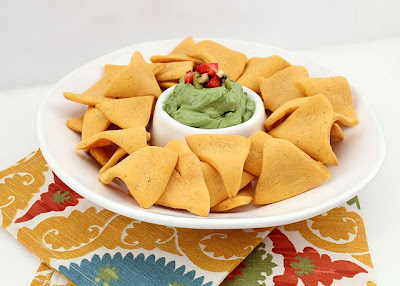 Cinco de Mayo is around the corner, and although these cookies don't really represent the true meaning of the holiday, they represent my favorite part of Mexican food, so that totally counts! Sweet Sugar Belle shows you how to create these sweet treats to resemble chips and guacamole. So it would work for April Fools Day too. How fun! This post reminded me that I've been wanting to make fruit nachos (http://www.everydayhealth.com/health-recipe/berry-dessert-nachos.aspx) and Cinco de Mayo is the perfect day!